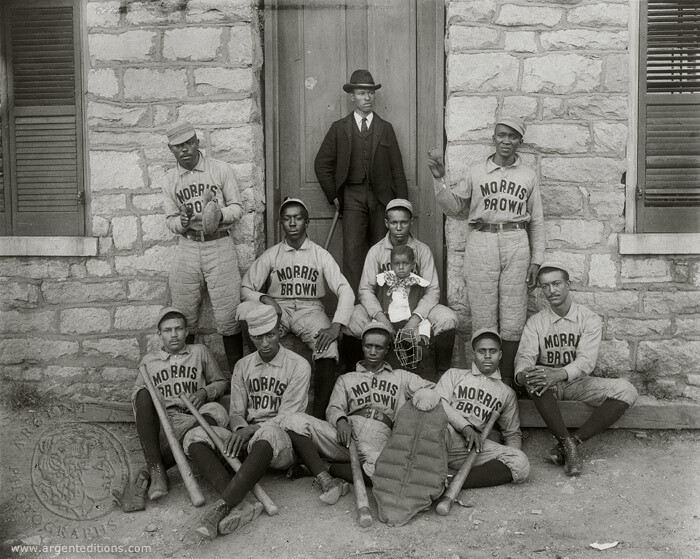 A vintage photograph of the Morris Brown College baseball college. This photo dates from the early 1899 or 1900. Morris Brown College was founded in 1885, in Atlanta, Georgia. It’s a shame what Morris Brown is going through considering how long they have been around. Clnmike, I too am sad to see the difficulties that Morris Brown is facing. I hope the institution will pull through. Sokari, thanks for stopping in! Come back next Wednesday (or sooner). I have something special in store. I’m a very proud 97′ graduate of Morris Brown and I simply love this photo. I’ve seen this picture hanging in our administration building. MBC will thrive again.